February 10, 2016 in Moscow at the Microsoft technological center (St. Lesnaya 9, b. B, the 5th floor) Mindcore company will organize NAV Academy seminar “Global financial accounting practices in the service of the Russian business”. The organizers – the consulting company Mindcore, Microsoft company and Training Centre Trainer-IT. Business and financial services leaders and chief accountants are invited to participate. The workshop will be held in a round table format, within which will be revealed features of financial control and accounting efficient organization on the example of Microsoft Dynamics NAV. 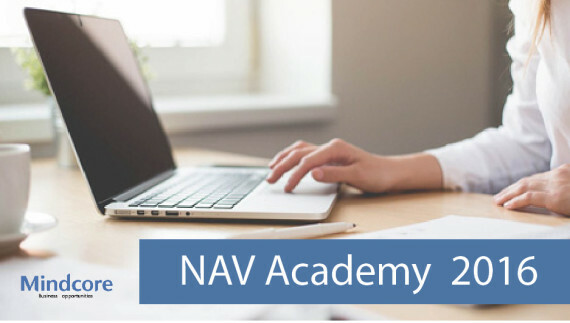 Active users of the solution will be able to expand their knowledge and work out new the practical use skills with Microsoft Dynamics NAV 2016. However, managers who only concerned about financial accounting automation won’t be ignored. At the workshops, they will work out their own problems of financial services and assess their departments automation effectiveness. The main speaker of the seminar – Olga Matrosova, consultant and leading expert in the field of financial management from Mindcore company, who is talented and easily available to explain the most complex processes. Therefore, by the end of training, participants usually leave with a well-adopted material and answers to their questions. 10.30 – 11.00 Microsoft Dynamics NAV 2016. What’s new? 11: .00 – 11.30 Microsoft Dynamics NAV for CEO. All information in two clicks away or what NAV is capable of? 15.00 – 15.30 A whole truckload of accounting systems and a little bit of integration. How to tie everything together? Olga has been working for more than 10 years with the Microsoft Dynamics NAV solution. An understanding of financial processes and extensive experience in management of local and international projects implementation helped Olga to become a unique specialist in the matter of financial accounting automation.